If I had a dime for every time I’ve said “I can’t believe it’s already August,” in the past 9 days, I’d have enough money to make up for the fact that I’m only working 22 hours this week. But in all seriousness, where did this summer go? I can hardly remember July, and June? I’m pretty sure the calendar just skipped over that month this year. If I had actually made a summer checklist, it would have included hiking the Royal Arch, attending the Boulder Farmers’ Market and dining at the Chautauqua Dining Hall and for all those things, I would have had a check, check and check, but there’s still lots of small things I feel like I haven’t done yet this summer. Sunday marked the first night all summer that we fired up the grill. 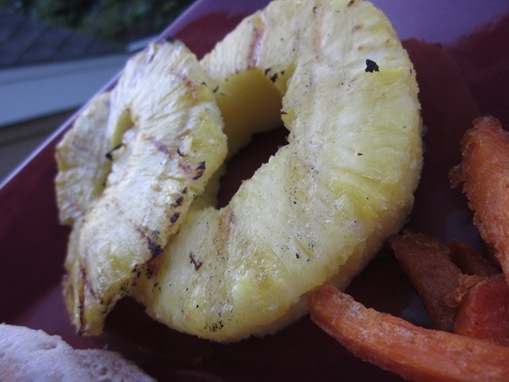 And the first time all summer that we grilled a pineapple! 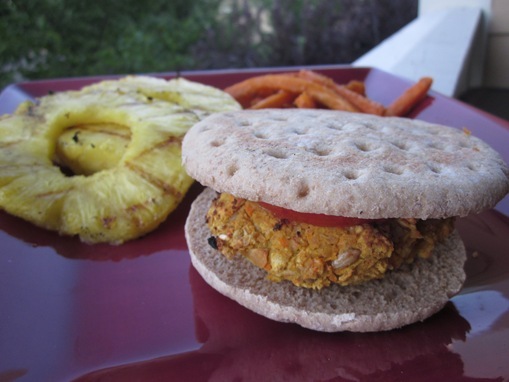 Chickpea Curry Burgers, compliments of Clean Eating Chelsey. But I keep having to remind myself have Joey remind me, that summer is not over. And even though I’ve yet to eat a really good Colorado peach, there’s still time. 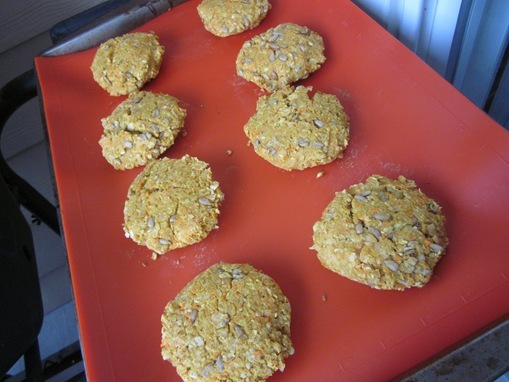 and knock out that pile of veggie burger recipes I’ve collected. This makes me incredibly nervous. 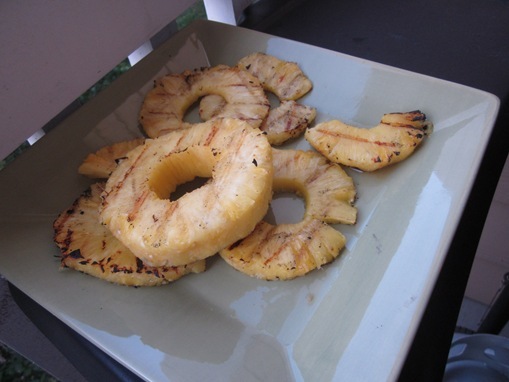 And eat lots more grilled pineapple. The most important part of every meal. So here’s to making the most of August. Before September and the beginnings of Fall set in. Because by then I’ll only be able to think about pumpkin. What do you still want to fit in time for this summer? 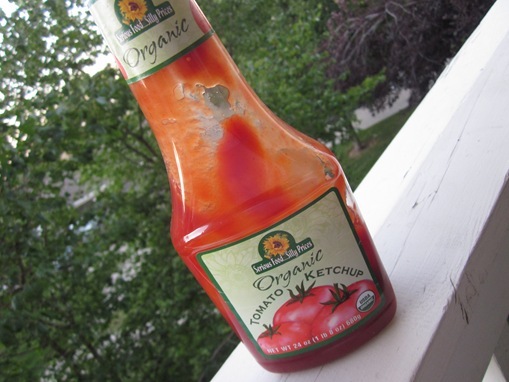 Ketchup! 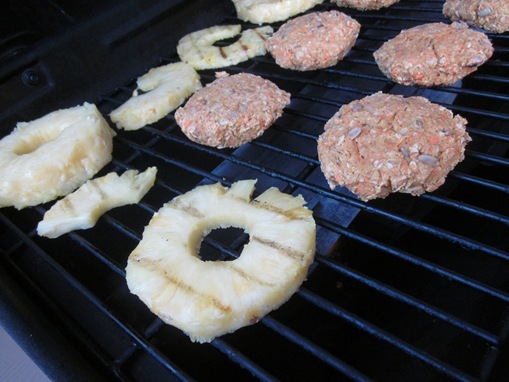 No grilling is complete without it. 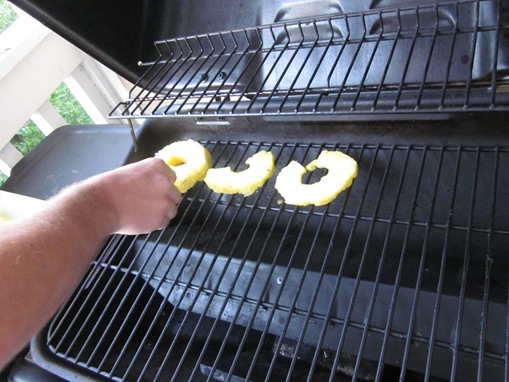 And somehow I have let summer pass me by without grilled pineapple. I think that needs to be remedied. Like, tonight. 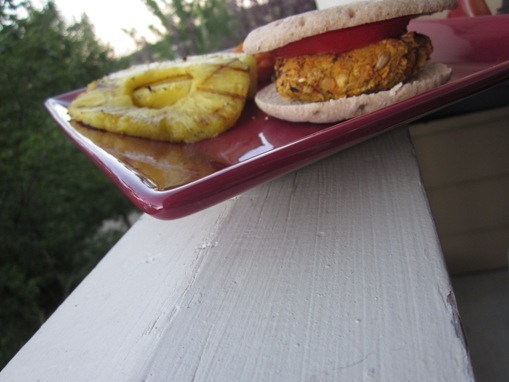 And I hope some veggie burger recipe reviews are upcoming, I’m always looking for good ones! i thought those burgers were hamburger at first! 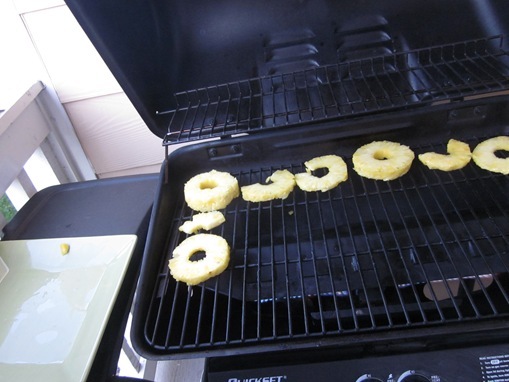 (well, the shot of them on the grill.) 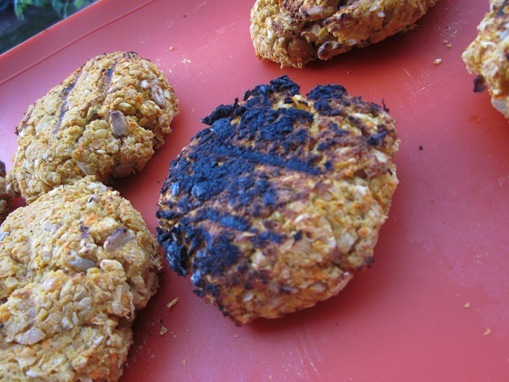 they look yummy 🙂 i’ve never tried grilling veggie burgers but i don’t know what i’m waiting for! and i agree…where in the heck is summer going?! i think we need to just pause the days for a little bit. we can still go on living, but it doesn’t pass august 9th, ya know!? I am totally thinking about pumpkin already! I know what you mean, the summer FLEW by and I keep doing a double take whenever I see a calendar! But you’re right, it’s not over yet! Let me just say this summer has gone by WAY too fast. But I must add, fall does happen to be my favorite season! There is nothing more beautiful in my opinion. You haven’t eaten a good peach yet?! Lauren, cut a peach in half, rub with just a drop of oil, sprinkle a little sugar, and grill that sucker up. 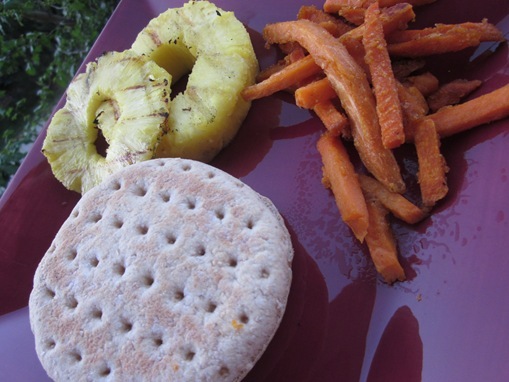 By far my favorite way to eat peaches(and it turns any bad peach into a delicious one!). I even do it with ones that aren’t ripe yet, mainly because I hate waiting, but it turns them nice and soft. I highly recommend it. Umm, you are a genius! 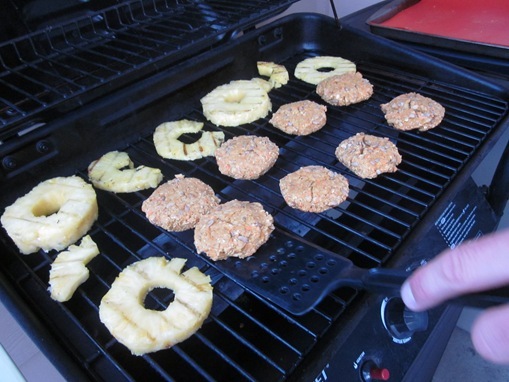 “Mission: grill peaches” is so on!